I like ice cream. Well, any dessert, really. It’s one of the hobbies I have when I travel: sampling desserts and candies as I investigate new places. I tell myself it’s sort of an anthropological study: Differences in flavors and dining habits say a lot about a culture, right? But if I’m honest, the truth is that I just want to eat sweets. And what’s so wrong about that? 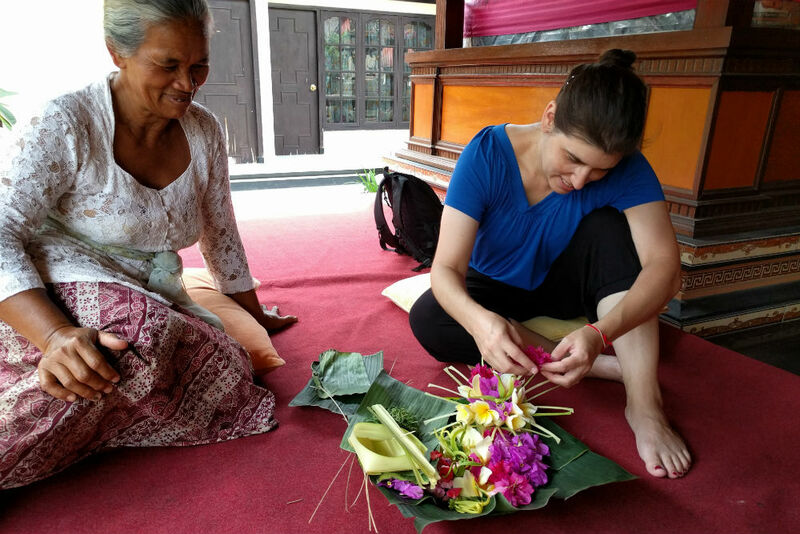 Travelers don’t necessarily need a big important reason to pick one destination over another. For me, if there’s a particular museum exhibit on view, a random festival going on, a campy literary connection to a place, I can plan a whole trip around that. 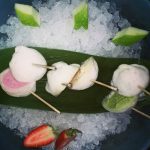 Cases in point: I chose Bali because of the views and the ubiquitousness of banana-chocolate desserts (they are everywhere! ), and a big part of the reason I went back to Singapore, where I used to live, was for a food tour with a friend. 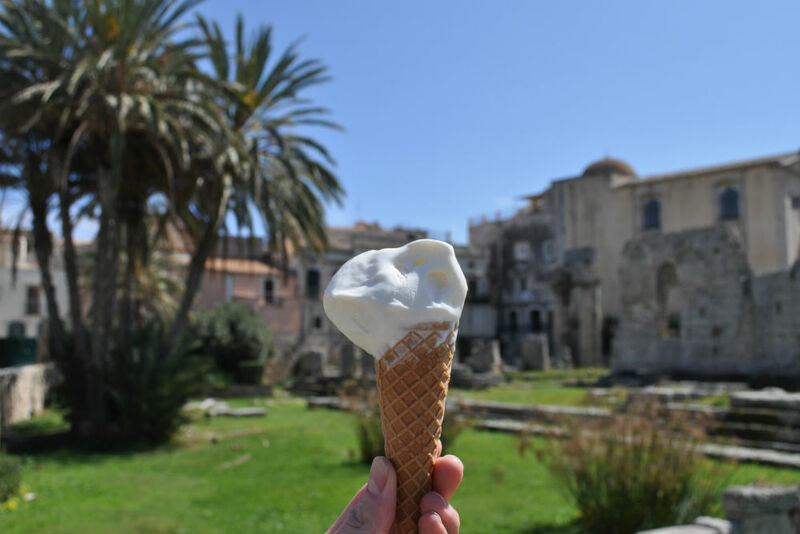 Sadly, I have yet to plan a whole trip around an ice cream cone, but that can’t be too far off, especially now that I’ve been looking back at these sweet memories. 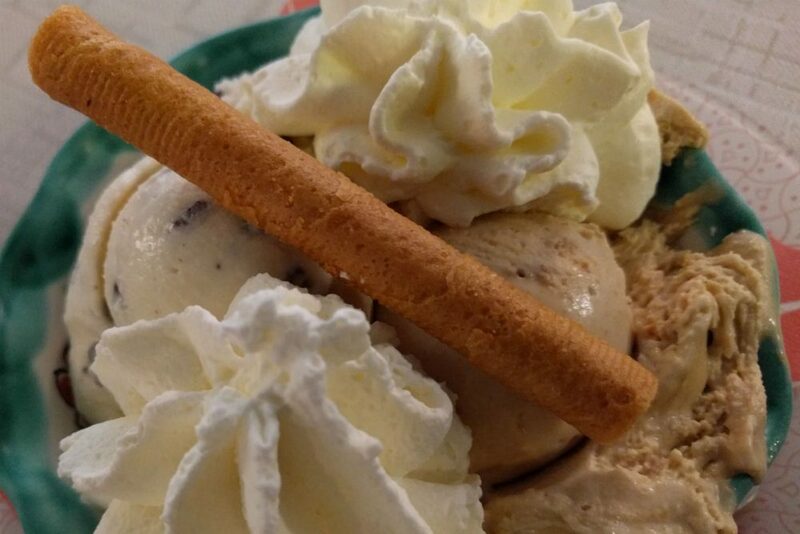 Here are delicious scoops of inspiration for your next vacation. And if you have any other dessert suggestions for me, please leave them in the comments! The western city of Oradea, in Romania, is remarkable for its well-preserved collection of Art Nouveau architecture—one of the most impressive in Europe. 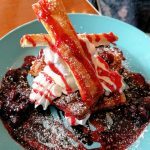 But when you're finished touring the beautiful buildings, stop for a pick-me-up at Sweet Magnolia on the main pedestrian shopping street. 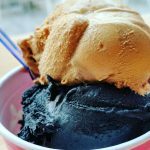 In addition to a rich and buttery salted caramel (one of the best I've ever tasted), they offer some more creative flavors too, like a vegan vanilla infused with charcoal to give it that eyebrow-raising black color. 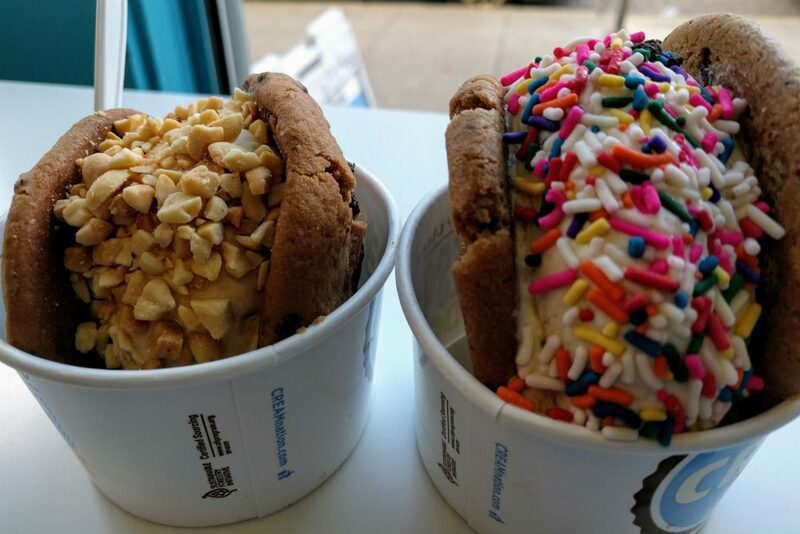 Ice cream sandwiches are the star at Cream, which first opened in Berkeley, California in 2010 and now has outposts all over California as well as in Florida and Nevada. 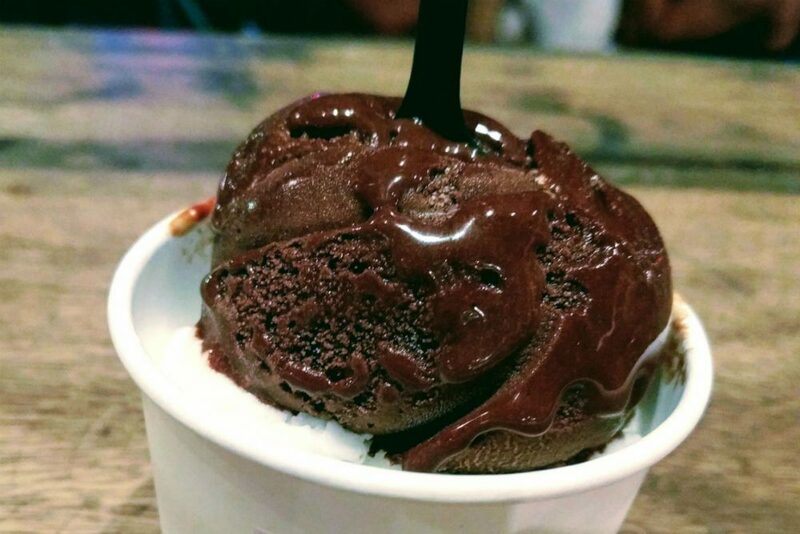 Choose your favorite cookie, ice cream flavor, and topping to come up with your own dream 'wich—or get even more decadent and opt for a donut, brownie, or waffle as your wrapper. 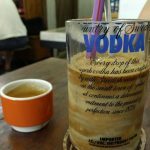 Tucked into a narrow alley off the main street in Dubrovnik's old town, Dolce Vita, is popular for its crepes filled with ice cream and its iced coffee (which is cooled down with a scoop in the glass), but the shop's main ingredient can definitely stand on its own. My favorite flavor: tart yogurt with berries. 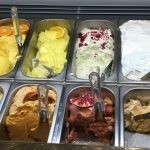 On a recent trip to Italy, my mom and I learned to make gelato, from scratch, at Amandola Gelateria in Foligno—and then chef-owner Ricardo let us try every flavor in the shop. 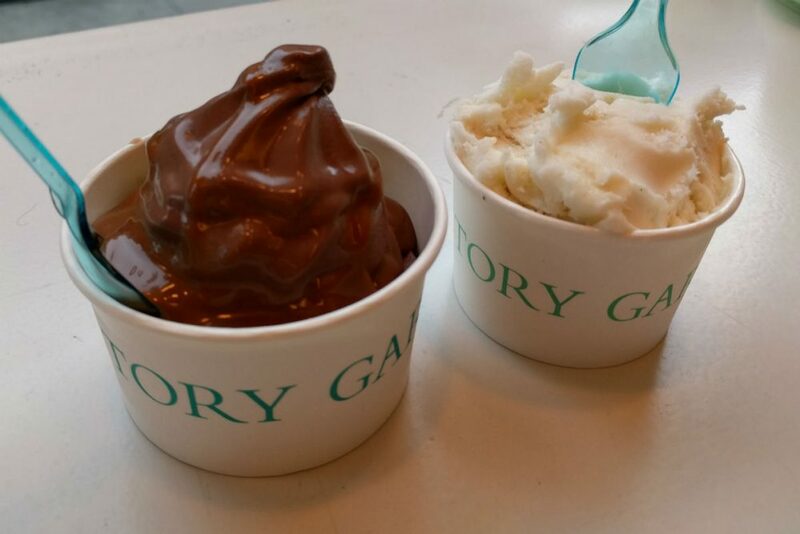 I would fly back to Umbria solely for this gelato; it was that good. And it's easy to understand why: Every day Ricardo handcrafts about two dozen flavors with the freshest ingredients (like the clementines he juices himself), and when each batch reaches the 24-hour mark, it gets replaced. I volunteered to eat all the leftovers, but with more than 30 flavors every day, I need some help. So who's going to Foligno with me? 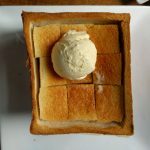 I'd never heard of a bread sundae until I went to the Green Tea restaurant in Hangzhou, China and had my entire dessert world blown. 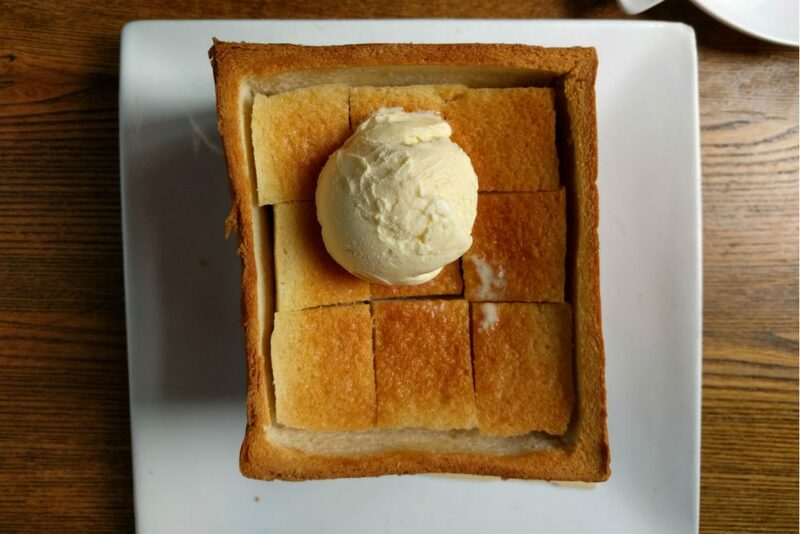 This one is called Bread Temptation: a cube of buttery toasted bread filled with smaller cubes of buttery toasted bread and topped with a scoop of vanilla ice cream. Those of you who love desserts that combine textures and temperatures are going to swoon over this too. 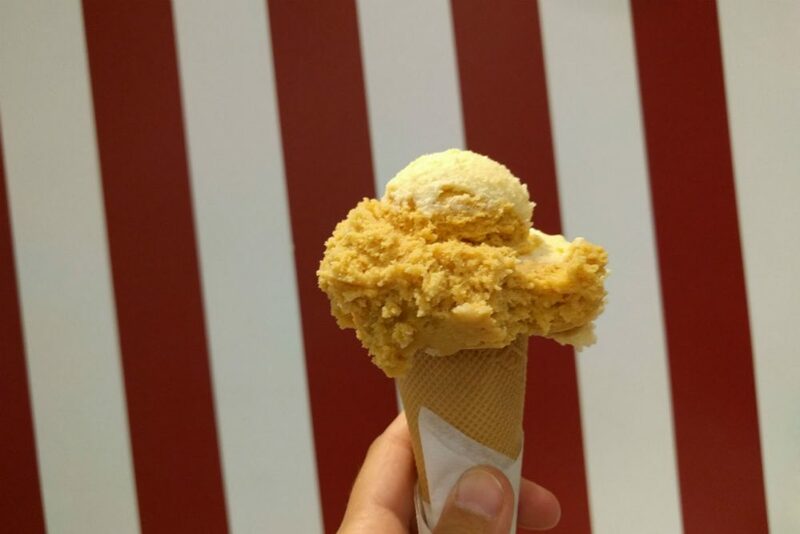 Vanilla and salted caramel from Gelados Santini in Lisbon. There will likely be a line out the door; it is worth it. 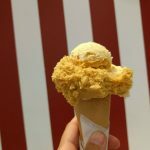 Attilio Santini started this ice cream company back in 1949 and the current venue’s red and white decor still feels delightfully old-fashioned. 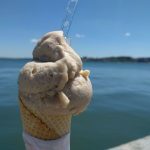 Biscotti ice cream is a popular flavor in Locarno, Switzerland, but one of the best versions is sold at the unassuming-looking Pizzeria Gelateria Primavera restaurant. 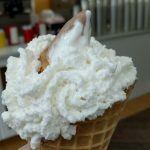 No fancy decor, no cutesy colors, no line—but plenty of delicious ice cream. I balanced the rich biscotti with cool chocolate chip and felt that I’d discovered a winning combo. 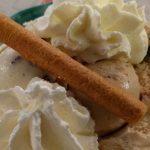 The whipped cream is thick and unsweetened, which was not my thing, but I wished there were more of those crisp rolled cookies. This colorful bowl was created at the Nobu outpost in the One&Only Cape Town. 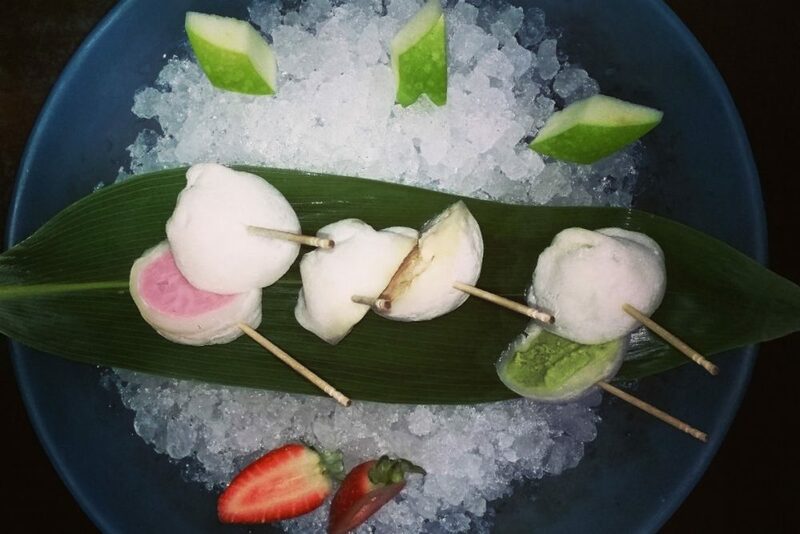 It's mochi ice cream in green tea, mixed fruit, and raspberry flavors, over a bed of ice. Artistic and tasty. 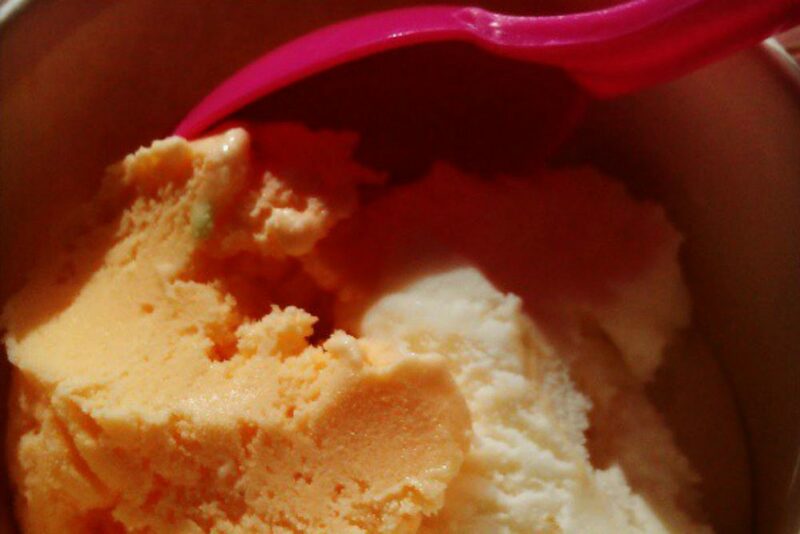 Siem Reap can get insanely hot, so you'll need a regular dose of ice cream to cool you down. 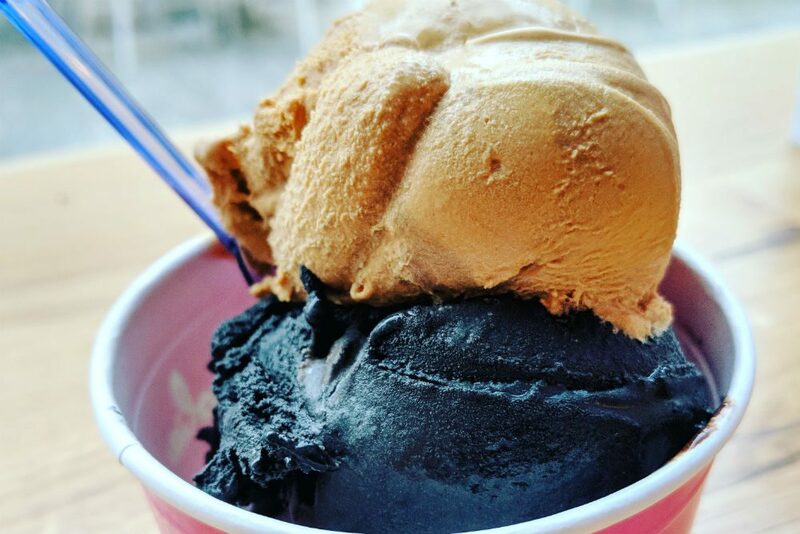 Skip the questionable carts lined up on Pub Street and grab a stool at the Gelato Co. instead. The dark chocolate and coffee are especially good. 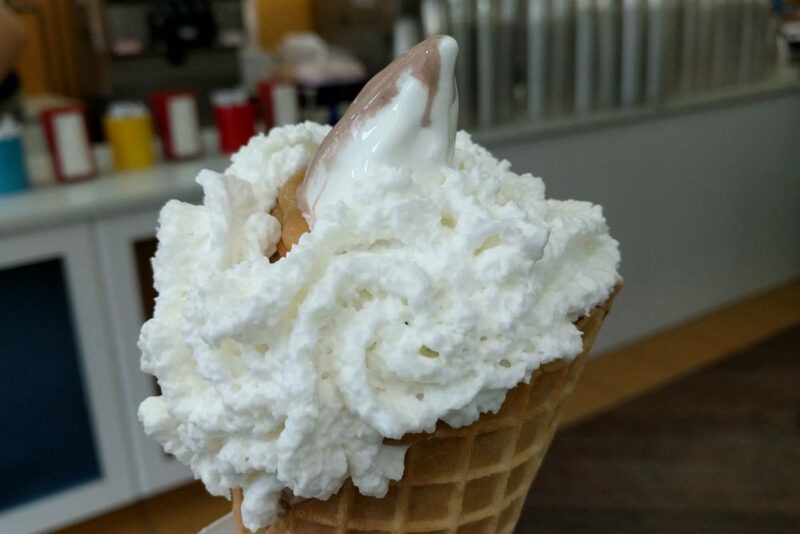 You'll probably have to get a cup; the cones melt too fast. Ahhh: mango and lychee ice creams from Chinatown Ice Cream Factory, in New York City. 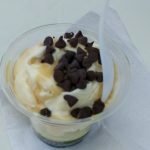 The tiny shop features a lot of interesting flavors: durian, taro, black sesame, pandan, and more. 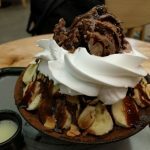 My new favorite dessert: bingsu, a.k.a. snowflake, a.k.a. shaved frozen milk, a.k.a. Korea's coolest export (even cooler than K-pop). 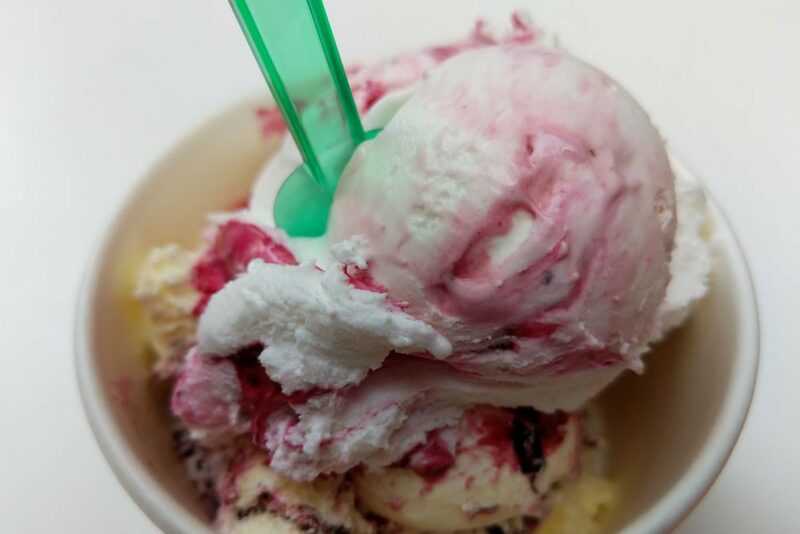 It's lighter than ice cream and less sweet…so you can eat more of it! 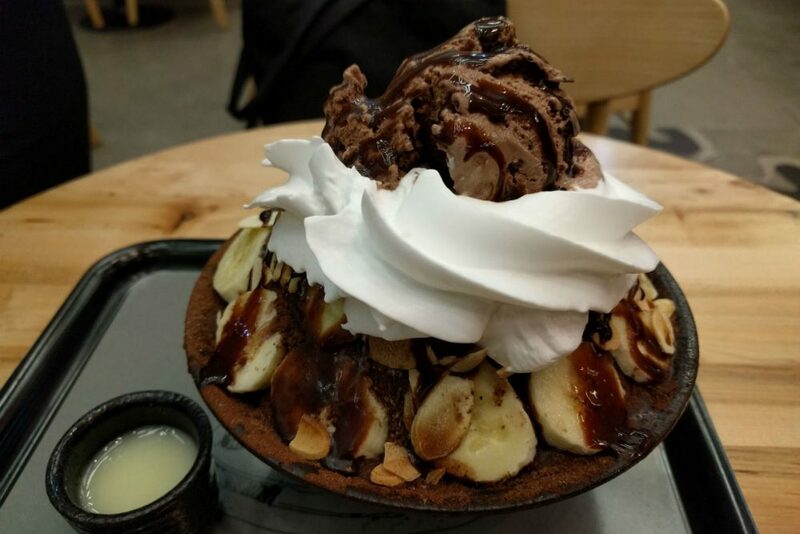 This particular pile of creamy white fluff was dished at Nunsaram Korean Dessert Cafe in Singapore, then topped with bananas, chocolate sauce, almonds, and chocolate ice cream, but you can get just about anything on it. 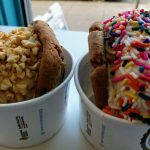 One of NYC's most popular dessert spots, Big Gay Ice Cream started its life as a mobile food truck, but now has three brick-and-mortar shops (plus one in Philly). This makes it a lot easier to get a fix when you're craving giant sundaes in homemade cones. 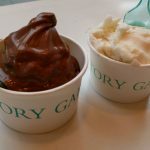 All the offerings here start with soft-serve vanilla, chocolate, or coffee ice cream, and the delicious gimmick is the toppings: unusual combos named after pop-culture icons, like the Bea Arthur Cone and the Rocky Roadhouse Cone. 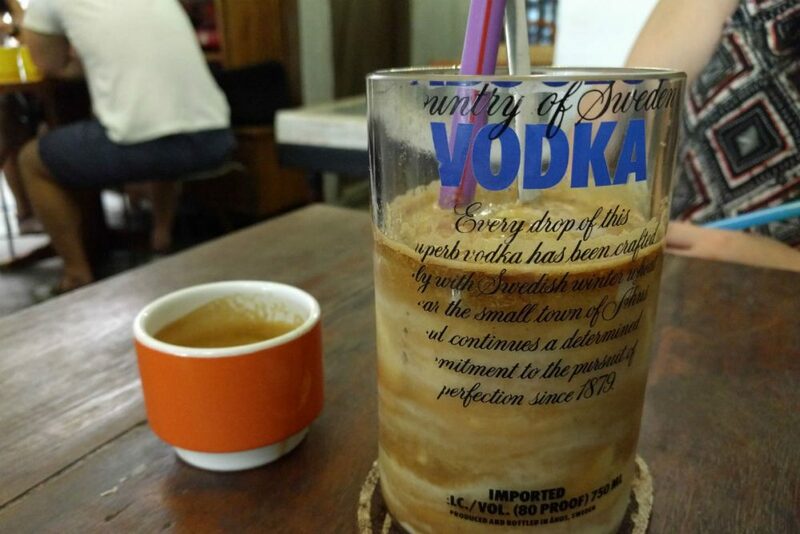 Singapore's AEIOU cafe came up with a brilliant take on the Indonesian avocado coffee trend: They give you a double shot of espresso and an avocado milkshake, and you get to combine the two at your table, mixing your own perfect proportion. It’s called es alpukat (meaning ice avocado) and it’s the best thing you can do with an avocado since guacamole. 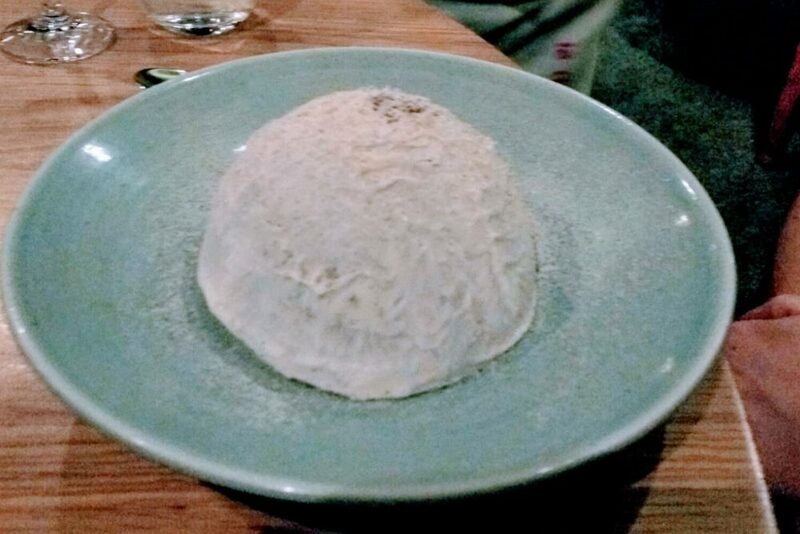 This may look like an uninteresting dome of white stuff, but looks can be deceiving. Watch the video to see what's inside, and then make a reservation at The Tasting Room in Franschhoek, stat! Reservations fill up months in advance for this whimsical multi-course food experience, one of the coolest things you can do in South Africa. 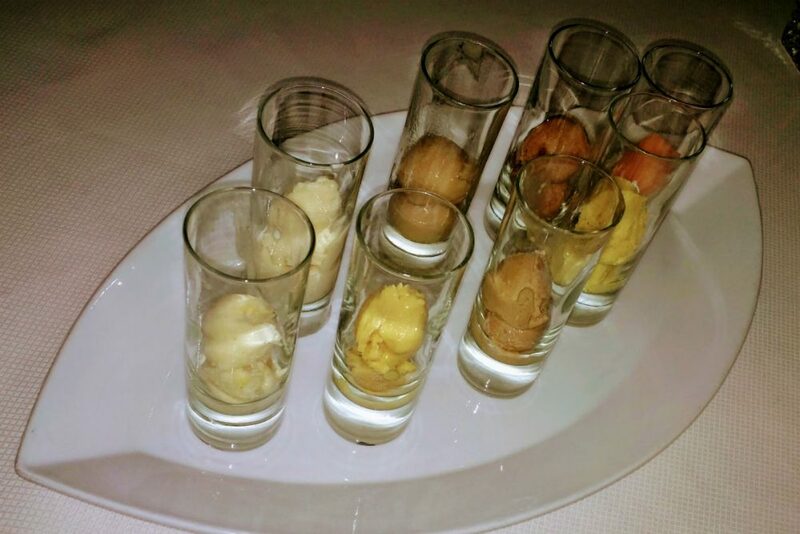 Bad picture, good dessert: a flight of eight different ice creams and sorbets at Triple Creek Ranch in Montana. The food at this luxury ranch is stellar, so you’re going to have a hard time saving room for dessert, but I have faith in you—you can do it. Inside these cups of standard-looking chocolate and vanilla is a secret: goat’s milk. 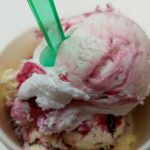 Victory Garden, based in Manhattan's West Village, makes out-of-this-world goat-milk ice cream. It has the slight tang you'd expect, but is milder and much less funky than goat cheese. It also has less fat and lactose, so it's a good alternative for those who have a sensitivity to dairy. 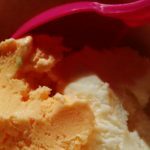 In addition to these classic flavors, you can usually find a few interesting guest stars like apricot saffron, chocolate rosemary, Meyer lemon, frankincense, and mastic. The brand now has pints available at certain NYC retailers, and is one of my personal favorites in NYC. 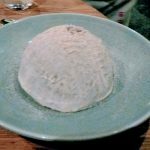 This is called a moffle: a waffle with mochi baked into it. With ice cream. And berry topping. And whipped cream. 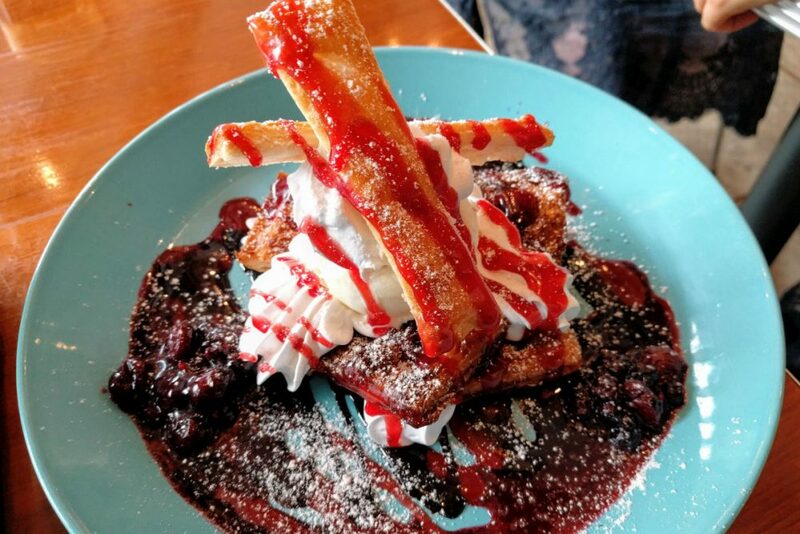 I found it in Hong Kong (no surprise there, HK is even quirkier than Singapore when it comes to dessert and snack foods) last year, and I’ve seen other versions at street food fairs in the States since then. Keep your eyes open—your stomach won’t be disappointed. 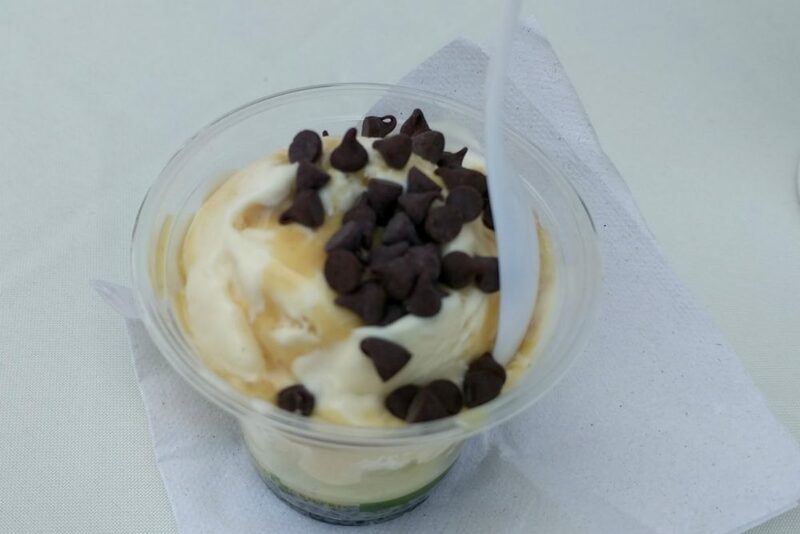 Sorry for the blurry shot; I wasn’t seeing straight because of all the flavor packed into that diminutive cup. 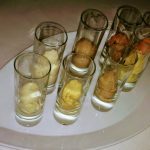 This is a spicy-sweet masala chai ice cream sundae dreamed up by a young woman named Pooja Bavishi, who handcrafts ice cream inspired by the Indian flavors of her childhood kitchen. In addition to the chai, some of her popular offerings include rose with cinnamon and roasted almonds, Turkish coffee, and ginger root. 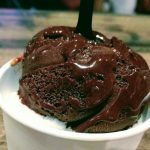 You can find her cones, sundaes and pints at the popular Brooklyn Flea, and at a few specialty shops around NYC—they are worth seeking out. I wish I could remember the name of the little ice cream cart that sold me this tasty cone (along with the nice vendor man who taught me to say every flavor in Portuguese). 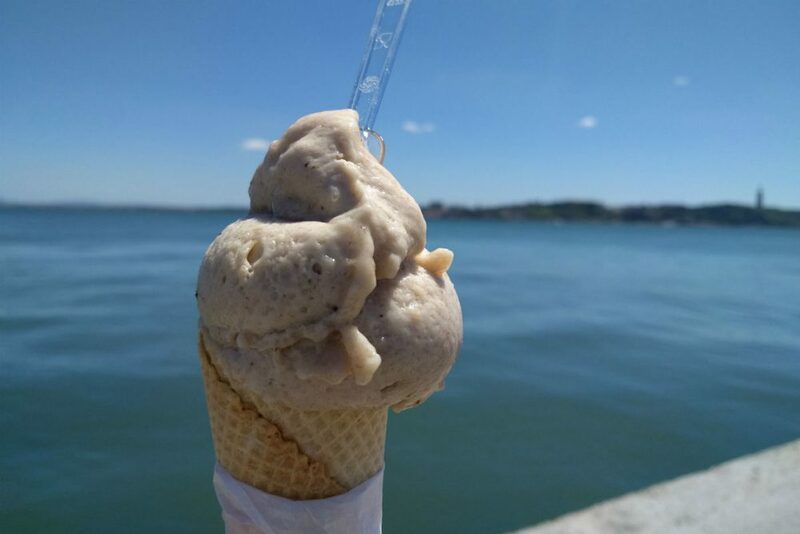 I would fly back to Lisbon and stalk the waterfront just to find it so that I could have another scoop of this creamy banana gelato that tasted just like fresh, ripe fruit—but better. 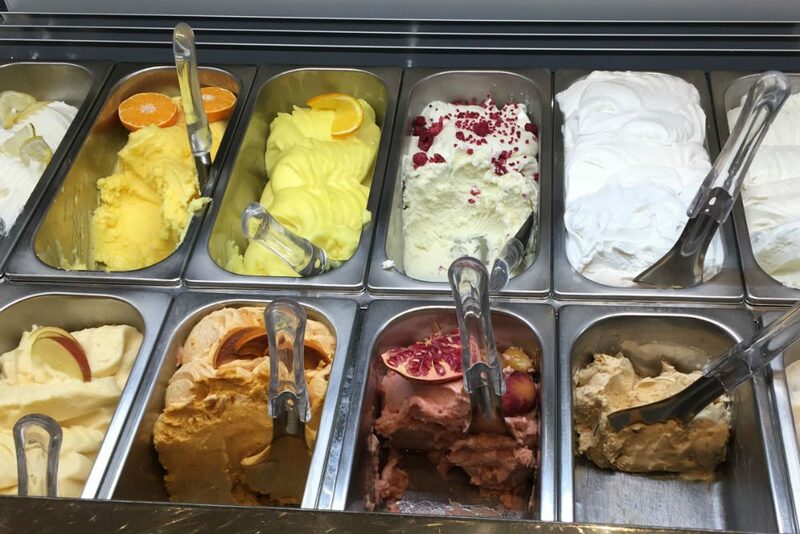 How to find, and properly eat, Italy’s finest gelato? Here’s intel from our Italy-based Trusted Travel Experts.